Andy Serkis Archives - Joe.My.God. 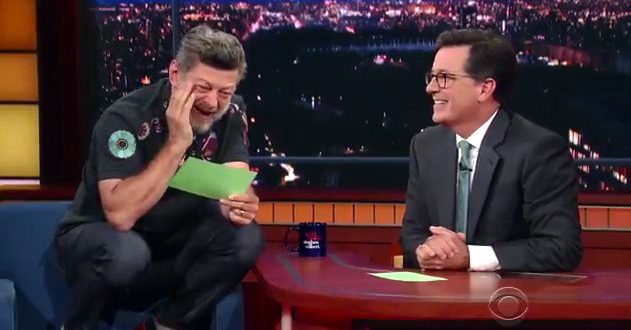 The Hill reports: “Lord of the Rings” actor Andy Serkis read President Trump’s tweets in character as Gollum on “The Late Show” on Tuesday with Stephen Colbert. Serkis brought Trump’s “fake news” tweets to life, channeling the fictional hobbit from “Lord of the Rings” after Colbert said he’d love to hear him read the tweets as one of his characters.